Vineyard estate, located in the heart of Colorado&apos;s wine and peach country. This beautiful home is nestled on the peaceful edge of East Orchard Mesa. The location of the home gives an unobstructed 180Â° view of the Colorado River, Mt. Garfield and the Grand Valley! In addition to its magnificent location it is even more impressive that the home sits at the end of 12 acres of a pristine vineyard. As you head down the large private driveway the home emerges through the rows of grapevines and trees. 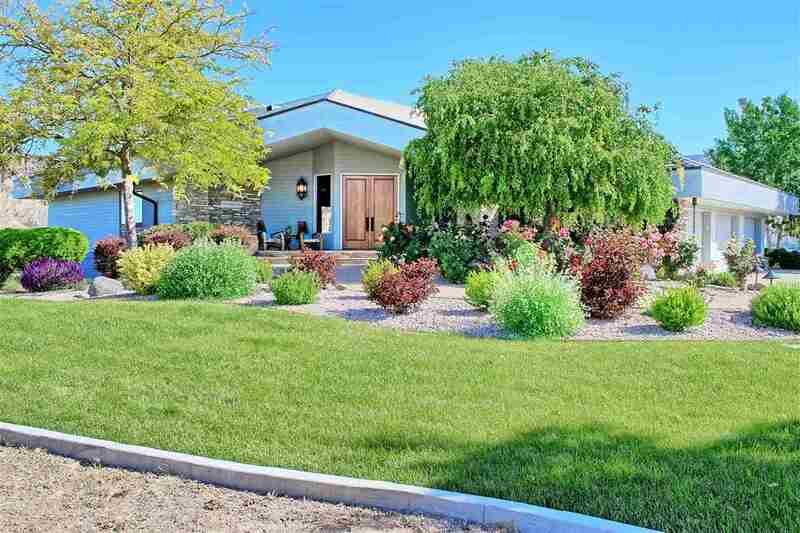 From the main road this custom ranch home is almost hidden by the mature and majestic landscaping, giving you a true sense of pure peace and quiet, a feature that is unique today. Plum Creek House has an oversized three-car garage, two master bedrooms, den, massive great room, mother-in-law suite, walk-out basement, majestic wine cellar, game room, home theater and much more.